Android is easily the best mobile operating system out there for you to grab, with almost the best variety of mobile applications available. However, if you are new to the platform, you are bound to face a few difficulties along the way. Almost all professional information is regulated through emails these days, be it your workplace projects or assignment updates from your university and how often do we just miss these and regret it later. It would be beneficial in all sorts if the notifications of every mail are timely so that you do not miss out on anything important. One of the biggest problems people face is finding the best Email app on Android, after using and studying brief reviews of all these applications, we’ve listed down a few to make your day and your email transactions smoother. 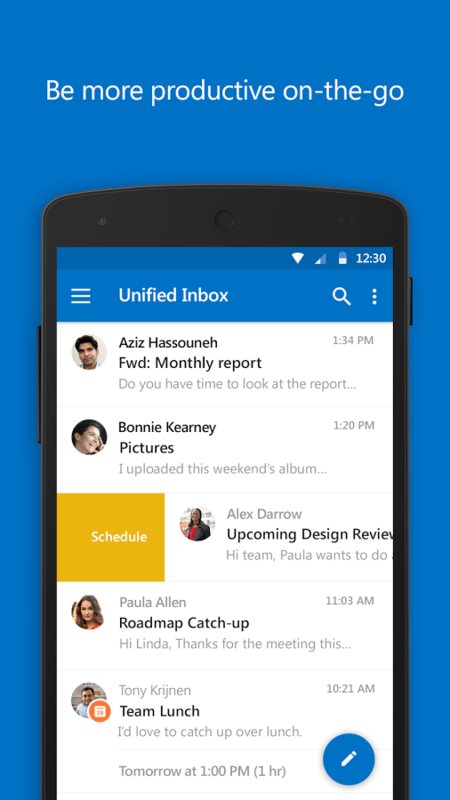 Inbox by G-Mail is comparatively a new player in the market, and it has revolutionized the whole process. It has to be the best on the list as Google’s ultra-advanced algorithms analyze and shows you the highlights of all the necessary information in all of your important emails. Its primary focus is to show you what matters and throw every unnecessary information in the background as your low priority. Obviously, your flight check-in details are more important than the Youtube Channel’s latest videos that you have subscribed to. Moreover, it has Reminders to tell you about the unattended emails you may have, and the Bundle feature creates a group of similar messages so you can do whatever you want with them all at once. If you use Gmail already, you will not have to synchronize, just sign up, and all your emails are already there. Microsoft Outlook was developed by the Microsoft Corporation and is the official Outlook app available across every Operating System. WIRED believes that it functions better than Gmail does, no matter the platform and they’ve got the good reason to. Firstly, the impressive stuff about Outlook is that it uses smart filters and gestures to manage your account. The direct connection with One Drive helps you manage your calendars and your files all through your inbox. 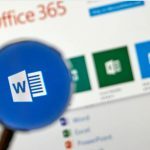 You can also use Word, Excel, and PowerPoint at one go through the inbox. 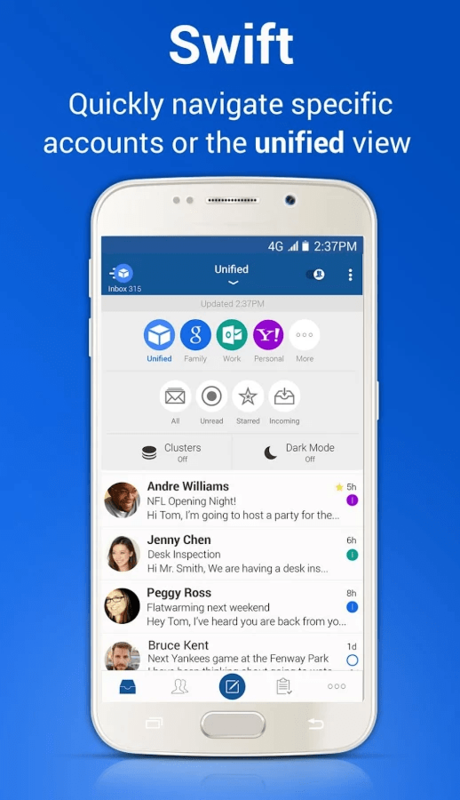 People claim that the Outlook app is very basic and mediocre and an underdog android email app can outperform Outlook quickly. The Newton Mail, created by Cloud Magic is yet another topper in the list. It’s a subscription-based email app which charged about 50$ per year. They don’t, however, charge money for nothing, and millions of subscribers can say that to you. Once you sign up for Newton-Mail after the 14-day free trial, you can use it on any device of yours be it Tablet, Wear or Mac. They have instant push notifications for all types of emails. Read-Receipt option tells you who read the mail you sent, and when they read it, you are notified as soon as they read it. The sender profiles help you to find out proper information about who sends you emails. The Send Later option can be availed if you need to mail someone something later, but at the exact time, you mentioned. It was also created by Blue Mail, although they are not certified, Android developers. The reviews are just outstanding. 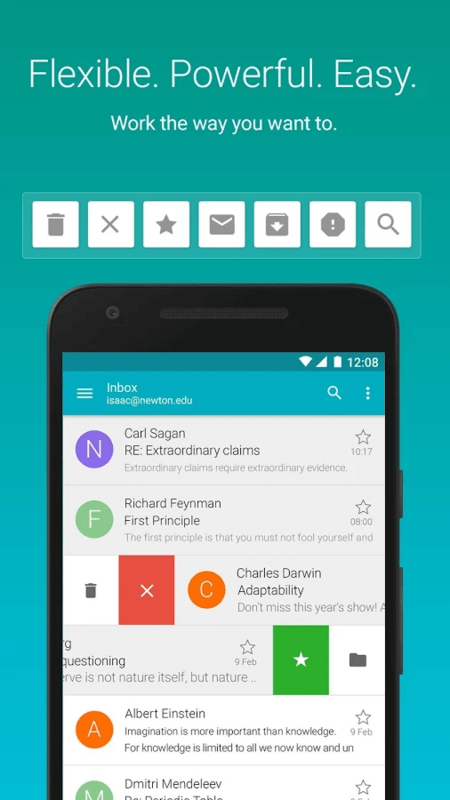 It is one of the most convenient and beautiful managed and designed Email app available on Android. The customization approach they have provided is truly mesmerizing, to say the least with quiet hours, custom sounds, vibrate and snooze alerts. The Group feature allows you to create groups to receive and send emails to a particular group in no time. If you mark some of your emails as done, you won’t have to delete them to send them out of the way anymore. 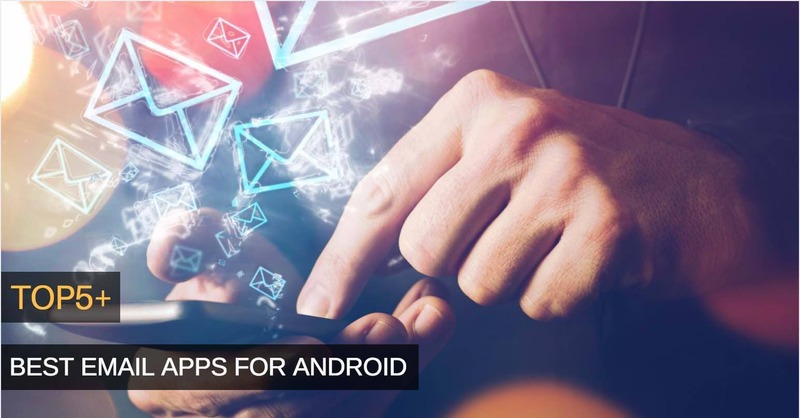 It has a countless number of other features which you can easily use for your ease, definitely one of the best applications for Email on Android! Aqua Mail comes from the famous group of developers ‘Mobisystems’. They offer a higher sense of security and let you access your server contacts from your phone directory. With an Elegant yet a simple design and rich texture, it will take no time in conquering your heart. Backup can be done via Google, OneDrive, Dropbox and or Box. It also allows you to reply via voice input. It understands the difference between Mobile Data and Wi-Fi and lets you optimize on that. 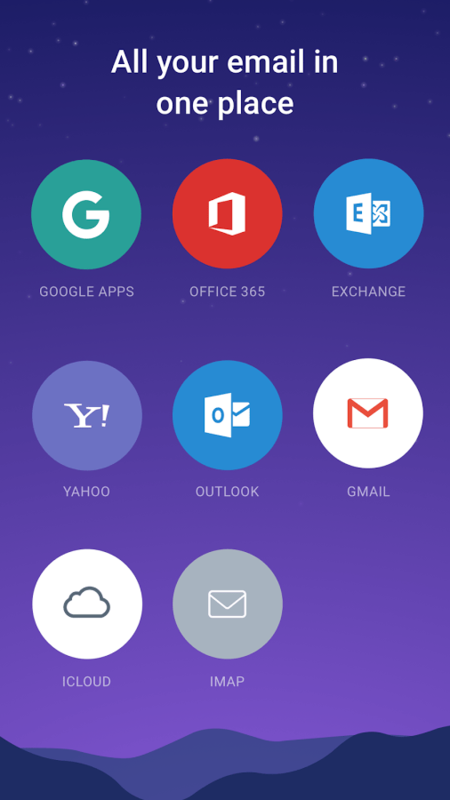 Yahoo mail needs no introduction as it is one of the oldest email apps along with only a handful of others. 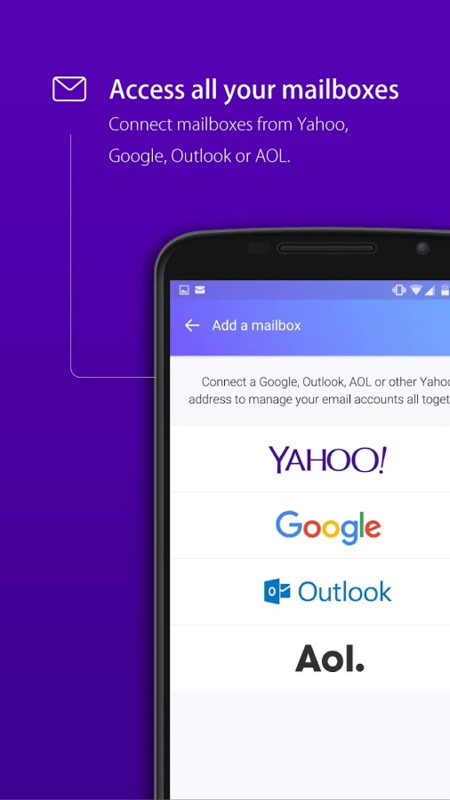 It lets you add multiple attachments all at once in one email. It also offers up to a 1000GB free cloud space so that you are confident you will never lose your mail ever again. One of the main advantages is that you get all of the content from Yahoo Magazines and Yahoo website all in this one single app. The main demerits are the adds popping up now and then, it’s not a paid app so you can’t make that go away. 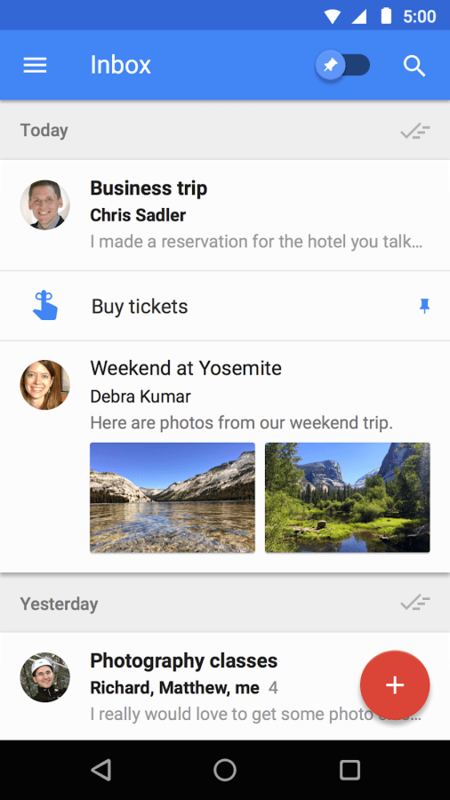 The final say that I have for you is that out of all these email applications you should opt for Inbox by Gmail as the team of Google itself is involved in the app. Keeping in mind the reviews and ratings by the public and professionals alike. If you are looking for something more organized, then perhaps Newton Mail will be the best option for you with its unbelievable charms in customization and personalization.